Watertown, SD- Lake Area Tech will host an impactful blood drive on Monday, April 29 to improve the blood supply for Prairie Lakes Healthcare System’s. This event will run from 8:00 am to 11:00 am and 12:30 pm to 3:30 pm. Those donating blood will have the satisfaction of knowing that they saved a life and gave a gift that will last a life time. Donors must be at least 17 years old (16 years old with a signed parent consent form), weigh 110 lbs or more and be in good general health. It is recommended that a person eat and drink plenty of fluids prior to donating blood. Please bring an ID with you at the time of donation. 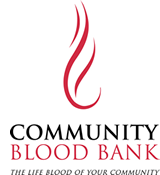 For more information log onto www.cbblifeblood.org, call Community Blood Bank at 1-877-877-3070.